Hail to the... speaker? On Tuesday, Wisconsin Rep. Paul Ryan announced that he would be willing to run for speaker of the House of Representatives, a position vacated by John Boehner earlier this month, but he laid out some non-negotiable conditions for the Republican Party. On Wednesday, it had been reported that Ryan has enough support from his party to win the job, even with his tough — but important — stipulations. So, with that being said, will Ryan be the next speaker? Ryan has reportedly met with the Republican Party's Freedom Caucus, a group of about 40 Republicans who, as a whole, are considered to be conservative enough to disrupt a speaker's tenure (*cough* Boehner *cough*). During the meeting, Ryan reiterated what he announced on Tuesday: that he's willing to run for speaker, but not without the full support of his party, a commitment to work together, the ability to maintain his family time, and the resurgence of the speaker's agenda-setting role. The Freedom Caucus, which was supposedly connected to Boehner's decision to resign and House Majority Leader Kevin McCarthy's decision to drop out of the speaker race, seemed to be one of the most important groups that would need to respond to Ryan's conditions before he would run. Following the meeting, a closed-door vote revealed that Ryan has 70 percent support among the Freedom Caucus. That's not enough to be an official endorsement, for which 80 percent support is needed. But 70 percent of support suggests that Ryan has the votes he needs to get the job, he wanted an official endorsement before agreeing to run. 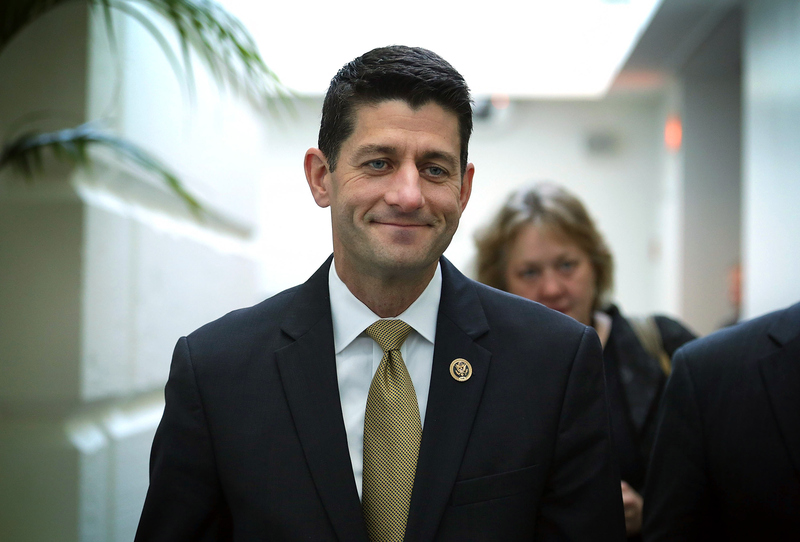 Still, even without the extra 10 percent, Ryan seems to be satisfied and ready to run. On Wednesday night, he tweeted that he's pleased with the response of the Freedom Caucus. With that out of the way, he's closer to a speaker race — and a speaker job. Ryan — and the rest of us — are now awaiting endorsements from the Republican Party's other two major House caucuses: the Republican Study Committee and the Tuesday Group. Ryan was expected to meet with the Republican Study Committee on Wednesday morning, although the caucus has not yet announced a decision. An announcement from the caucus could come on Thursday, though. It's also unclear if he has scheduled a meeting with the Tuesday Group. Even though we're still waiting to hear from the other two caucuses, the Freedom Caucus' support of Ryan is very good news for his conditions and his chances of pursing the speaker job further. The Republican Study Committee is considered conservative (because, after all, all Republicans can probably be considered relatively conservative), but not as much so as the Freedom Caucus. Similarly, the Tuesday Group is considered moderate. In supporting Ryan's bid for speaker, the Freedom Caucus is basically agreeing to work together with the other Republicans in the House — one of Ryan's biggest conditions for running — so now, it's on the other two caucuses to pledge their support. In terms of getting the groups to work together, it's promising to know that the group considered to be the most conservative has expressed some degree of willingness to compromise. The House will vote on a new speaker on Oct. 28, giving Ryan and the Republican Party just about a week to figure all of this out. He'll need the unity and support pledged by the caucuses to win: It will require 218 votes and there are 247 Republicans in the House. Assuming Ryan does run for speaker — and gets the job — the next challenge could be getting each of the caucuses to stick to their commitments.